When it comes to heavy construction equipment, every piece of equipment needs to be on a regular maintenance and equipment inspection schedule. And when it comes to OEM and aftermarket undercarriage parts, reliability is what gets the job done and high-quality undercarriage parts keeps down time to a minimum, and jobs running on schedule. Free shipping for orders of $4000 or more of like brand parts. 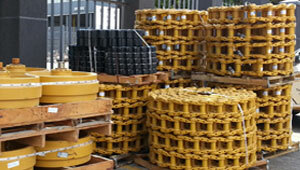 At Construction Parts HQ we maintain an extensive in-stock position on undercarriage parts for all major brands of excavators and bulldozers for fast order fulfillment and delivery. At Construction Parts HQ, we supply the highest quality undercarriage parts for virtually all brands of heavy construction equipment, including bulldozers and excavators. 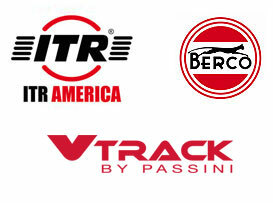 We supply track shoes, idlers, top rollers, track chains, track rollers, sprockets, and more. All of our construction equipment undercarriage parts have been rigorously inspected and tested to comply with the highest quality standards in the industry. Construction Parts HQ offers excellent value and service with our heavy construction equipment parts and repair experts ready to assist you and answer your questions to help you get back up and running fast. CAN’T FIND WHAT YOU NEED? WE CAN HELP! Are you looking for something specific? Let us know. We offer the broadest inventory of heavy construction equipment parts anywhere in North America, with the ability to fabricate custom solutions for virtually any requirement. 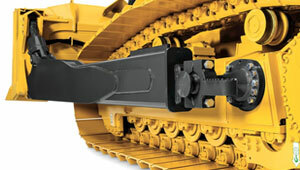 With over 25 years’ experience in construction equipment parts and heavy equipment repair, our extensive knowledge of undercarriage parts enables us to help you get the job done, keep your equipment up and running, and allows us to offer quality undercarriage parts designed for long service life. 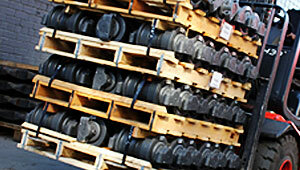 For more information or to get answers to your specific undercarriage parts questions, please contact us.